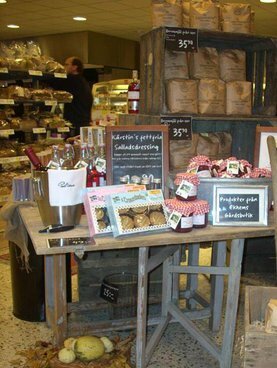 CID Konsult AB was founded in 1986 and is still a family business with focus on representing companies and their products on the swedish grocery retail market, in order for them to become established in Sweden and/ or grow with increased sales. We work very close with our partners and their products to obtain and withold a long-term partnership. Our main business is sales and marketing in the Snacks and Bread segment within the grocery retail market and we have been involved in making Rahms Croustader a known and established brand. Since the 1 august 2010 we have a partnership with Sales Support AB for their expertise and support in fieldsales of the supermarkets in the industry covering the whole of Sweden. If you are in need of, and looking for, a co-operation partner for the Swedish market, please do not hesitate to contact us for more information.